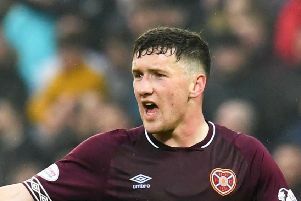 JORDAN McGHEE’S proposed loan move to Middlesbrough from Hearts collapsed at the close of the English transfer window after paperwork failed to be completed in time. The Jambos had agreed to let the teenager leave on the back of Dundee United starlet John Souttar’s imminent arrival at Tynecastle, but he will now spend the rest of the season in Gorgie. Middlesbrough see the Scotland Under-21 player as a player they can develop for the future and were keen to take him on loan with a view to a permanent transfer in the summer. He would have been viewed as an under-21 player at the Riverside Stadium with the potential to break into the first team in time. The deal may be resurrected come the next transfer window.